Our Process — Asian Pharmaceuticals Pvt. Ltd.
As well as our own high standards of producing quality medicines, we are also subject to regulation by government bodies and international standards. The Ministry of Health and Population’s Department of Drug Administration has sent out standards to be followed for the registration and production of Medicines in Nepal. NML is set up by the DDA as a principal organisation for testing quality standards of drugs in the country. AP must perform quality assurance tests at the labs for it to be suitable to enlist in the market. These quality parameters are re-confirmed by NML. A sample of the same batch is also sent to NML for testing purposes. On the basis of these documents, DDA will provide the marketing approval letter for commercial purposes. The National Drug policy in accordance of the National Health Policy 1991, the Government of Nepal aims to maintain, safeguard, and promote the health of the people by making the country self-reliant in drug production; ensuring the availability of safe, effective, standard, and quality drugs at affordable price, in quantities sufficient to cover the need of every corner of the country; and to manage effectively all the drug-related activities including production, import, export, storage, sale, supply, and distribution. 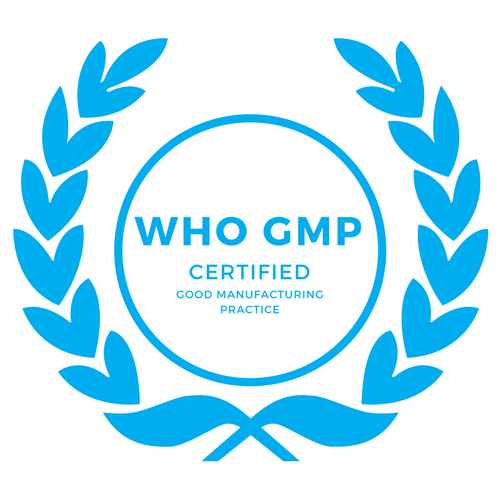 World Health Organisation’s current Good Manufacturing Practice (GMP of cGMP) is the aspect of quality assurance which ensures that medicinal products are consistently produced and controlled according to the quality standards appropriate to their intended use and as required by product specifications. US Food and Drug Administration guidelines are followed for the preparation of the stability studies program of Asian Pharmaceuticals' products. Various protocols from US FDA on drug safety, selection of batches, frequency for analyzing, and storage conditions are followed in line with international standards. The European Medicines Agency publishes scientific guidelines that are harmonised between Europe, Japan, and the United States of America by the International Council for Harmonisation of Technical Requirements for Registration of Pharmaceuticals for Human Use (ICH). ICH guidelines are provided for: Quality. Safety.